Kid CuDi’s debut studio album MOTM: EOD is very much like a fine wine and seems to have gained more popularity as it’s got older, with it being over four years since its original release, Pursuit Of Happiness was recently remixed by Steve Aoki and used in the Project X soundtrack, CuDi Zone was used on Dynamo: Magician Impossible and of course the massive Day N Nite remix was released a while back. It’s not just the more popular songs that stand out on MOTM but it’s also the less publicised, such as Soundtrack 2 My Life and Up, Up and Away. These two particular songs are different ends of the spectrum, one is a sincere family-problem-charged ‘ballad’, the other is an upbeat stoner anthem. The lyrics on Soundtrack 2 My Life are some of the best on MOTM, ‘He got two older brothers, one hood, one good. An independent older sister kept me fly when she could. But they all didn’t see, the little sadness in me.’ The genuinely thought provoking lyrics around CuDi’s family problems are heartfelt, giving the album an all round honest, personal feel. Kanye West’s help on the album is appreciated with Sky Might Fall and Make Her Say being particular highlights, with the latter taking inspirations from early, female-vocal-sampling Kanye, this time in the form of Lady Gaga and her massive Poker Face hit, a Common guest verse is merely the icing on the cake. With all these positives there could still be improvements, the album does become dreary at points, particularly tracks four through six, all three opt for a similar tempo and beat style and can leave a flat, lacklustre feel, however it’s reinvigorated soon and picks up from then onwards. 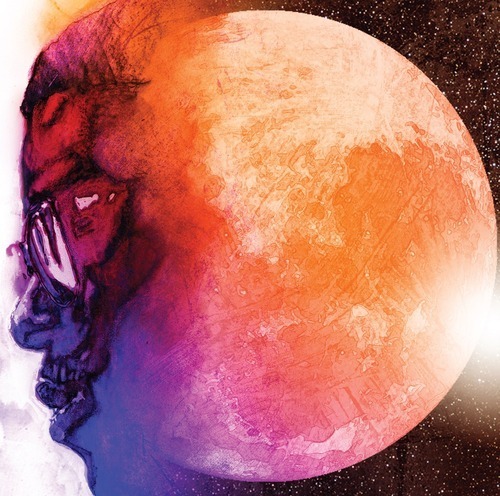 Kid CuDi’s debut is a good album with many good songs, yet it’s also a great platform for Cudder to improve on, it has all the signs that a future release could be nothing short of world class.